Eyewear today is an integral part of the fashion world, so it’s easy to forget that things used to be different. 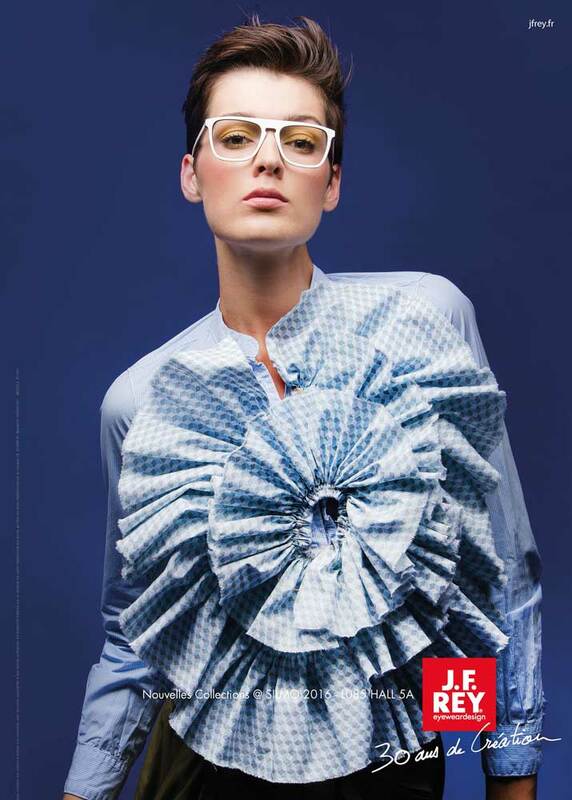 The rise of eyeglasses into trendy accessories was fueled by innovative eyewear designers such as Jean-François Rey. 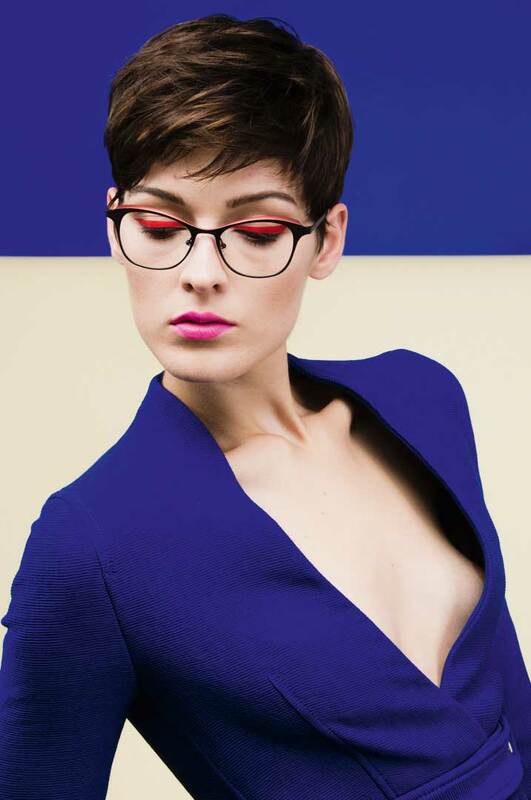 For over 30 years, the French luminary has been blending colors and shapes with unparalleled style and pizzazz, while introducing groundbreaking frame designs that continue to challenge the status quo in the global eyewear business. Shy and reclusive in his personal demeanor, Jean-François Rey made a name for himself with bold, innovative, and often tongue-in-cheek designs during the extravagant 1980s. 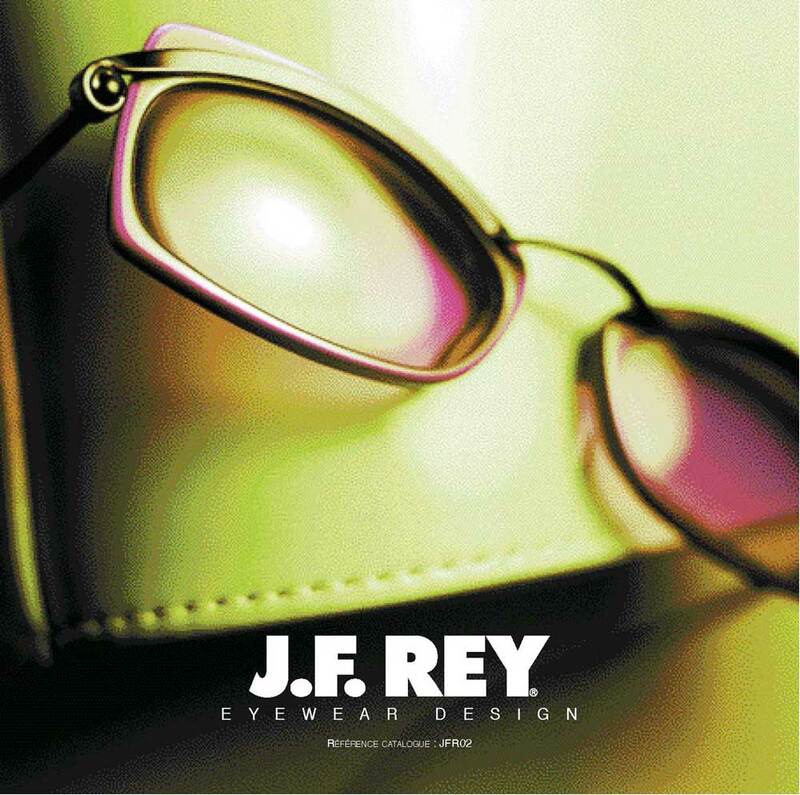 As one of the first designers in our industry, Monsieur Rey understood that eyewear design and haute couture are birds of the same feather, and founded his own label to celebrate the union between both worlds. 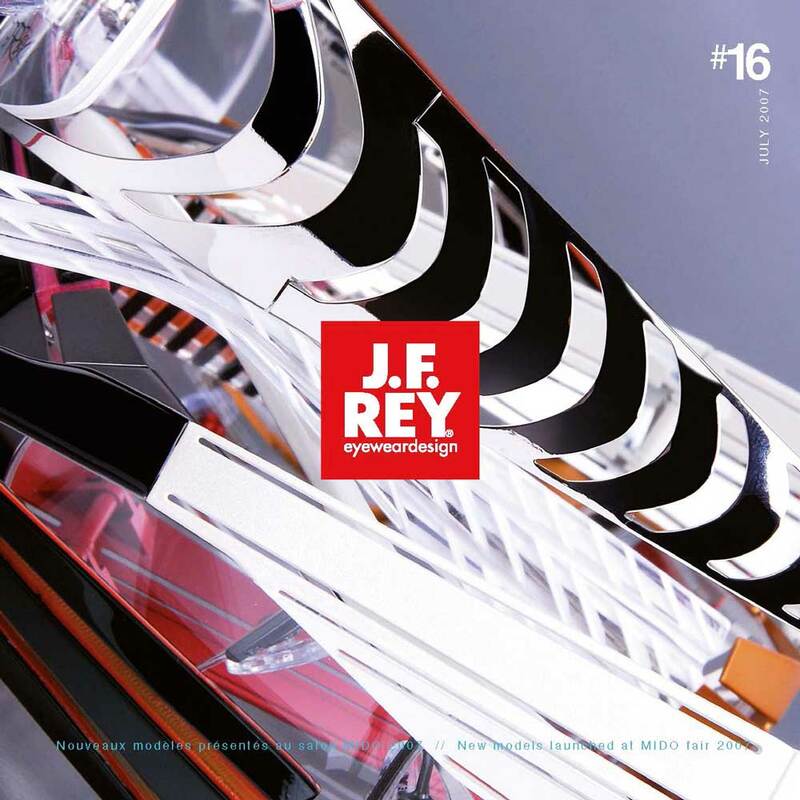 Almost immediately after launching his own brand, Rey began a long line of collaborations with fashion houses, starting with the likes of Issey Miyake and Marithé François Girbaud. The formula worked: The Frenchman’s sunglasses collaborations took over fashion runways by storm with their cool swagger, inspiring him to create his own company, BLI-DBP, with headquarters in Marseille. 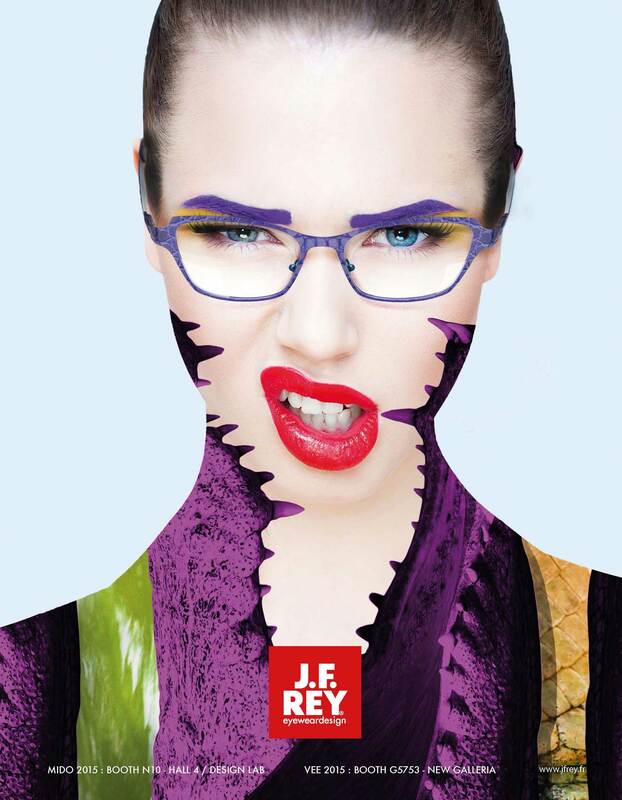 Today, Rey’s eyewear estate distributes four successful sub-brands, each marked by its own style and brand identity. Two years ago, the founder expanded the line-up with the luxury collection Jean-François Rey as the perfect platform for bringing back the great classics of the roaring 1980s. 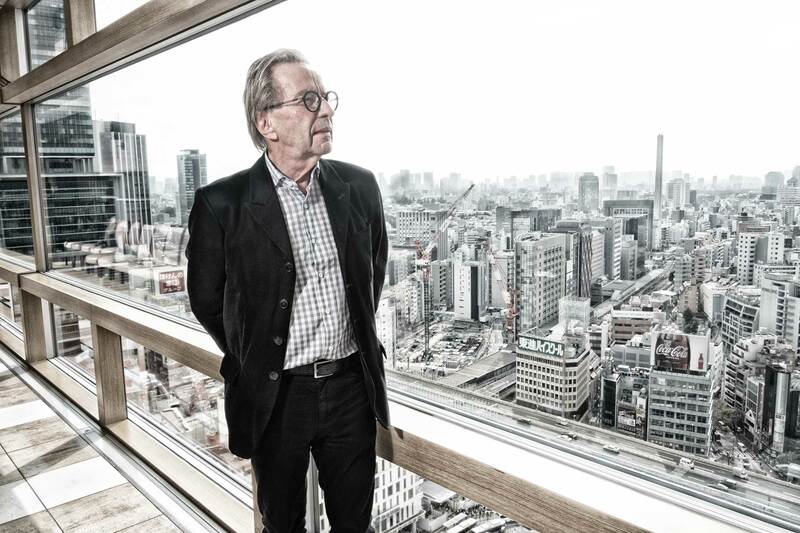 In our SPECTR interview, the 70-year-old design pioneer reveals why his life plan never included anything else besides eyewear, and how he manages to maintain an incredibly high level of creativity over the course of a 30-year career. Not to mention raising the bar and continuously setting trends, while casually running a successful eyewear empire together with his wife. The man, the legend – Jean-François Rey in his own words. Bonjour Jean-François! We have been trying to set up a photo shoot for quite some time now. And while it didn’t work out in Europe, we’ve now linked up here in Tokyo. 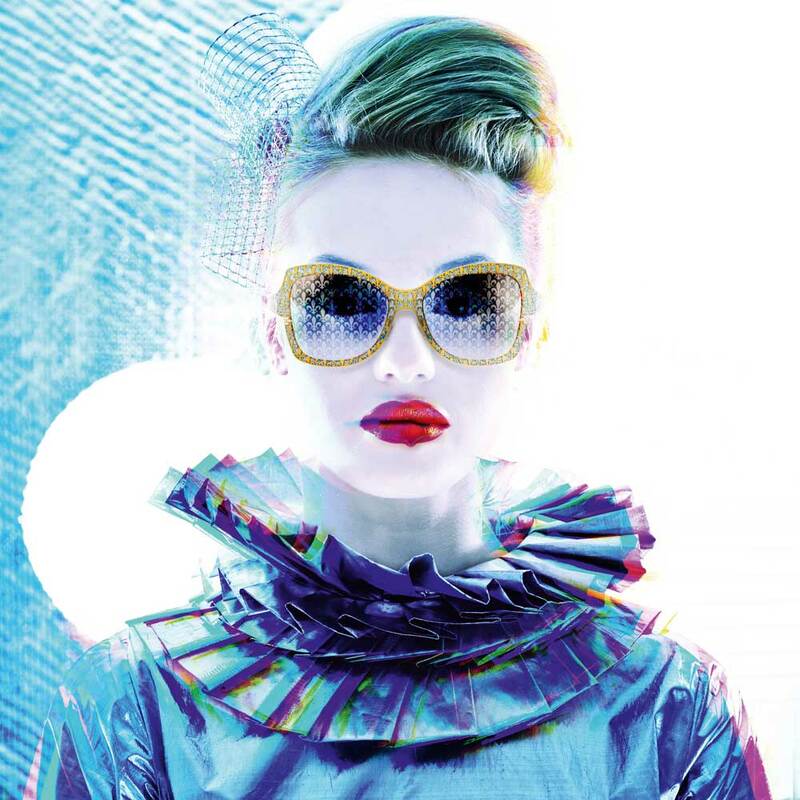 Let’s start right from the beginning: When did your passion for eyewear design initially develop? My roots are in the mountainous Jura region, which is the cradle of many French eyewear companies. My parents already worked in the eyewear industry, so honestly, I could have never imagined anything else than joining the business. In the beginning, designing eyewear was nothing more than a passion project. A hobby for weekends and during the school holidays. At the age of 16, I designed my first eyewear collection for my father’s company. And although I ended up going to school for International Law, the love for eyewear design ended up prevailing, so I went in, head over heels! Throughout your career, you made a conscious decisions to work with grandmasters of the fashion industry. A clever move that soon raised your international profile. Was that premeditated or simply driven by a love for fashion? It had little to do with premeditation, and it was a very personal decision. The fashion business has always been a source of fascination to me and continues to influence my work today. Back then, I really gravitated towards the entire “Côte d’Azur” vibe, captured by great designers such as Philippe Salvet, Lothars, and H.L Chapuis, all of whom had a massive following in Asia. Soon after we opened our showroom in Paris in the 1980s, I had the opportunity to design a couple of sunglasses collections for fashion brands such Agnès B., Bensimon, Issey Miyake, and Marithé François Girbaud. More than 30 years in the eyewear business, and your work has always stood out as creative and originals. Some even shifted the paradigm in the entire industry. Looking back at your journey, what were the biggest highlights of your career? There were many. First of all, meeting my wife, Joelle. As our company’s Art Director, she quickly discovered her personal style and perfectly understands how to blend acetate and colors with style and grace. The color nuances, her bold creative risk taking and her always-on-point combination of themes and materials run deep within our brand’s DNA. And that is exactly what makes us stand out from others: We have succeeded in finding our own unique and unmistakable language. The launch of our »JF2180« model was another significant moment. A racy, innovative concept that really helped our brand name and notoriety reach a new level. The J.F. 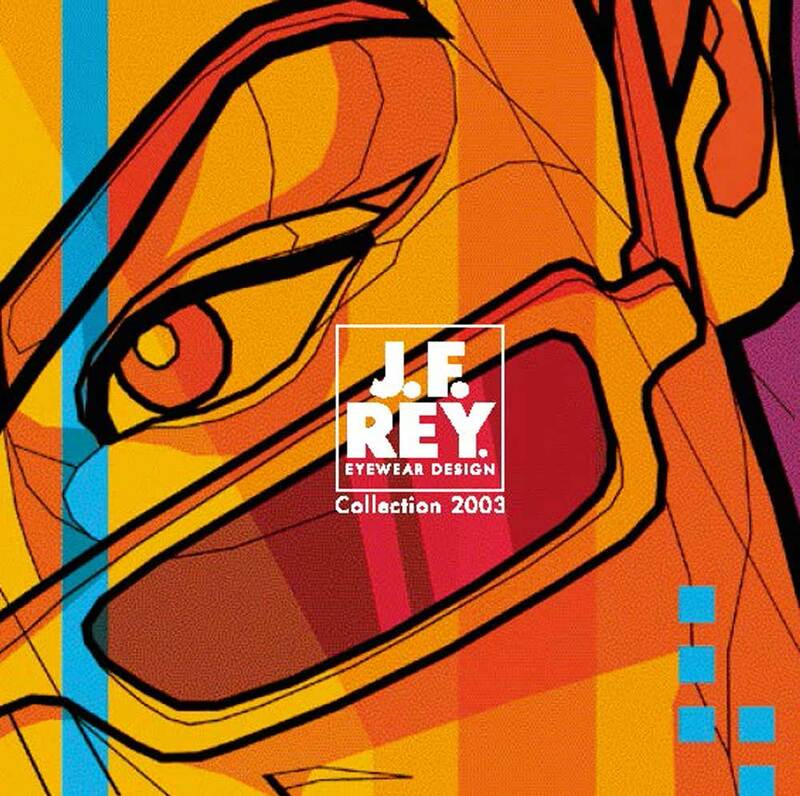 REY Signature Style soon became an international reference point in the eyewear industry. For 30 years now I have been able to make a living from my passion and it’s like one great adventure. While I’m on my journey, I continue to discover new facets during my work with all these people. My eyewear is a genuine attempt of emphasizing the true personality of the wearer. Over the course of three decades, you’ve seen a lot of trends come and go. Which materials and silhouettes would you consider timeless? Acetate, metal, stainless steel, and titanium. And, for the past few years, also leather. We actually did an entire collection crafted from leather, called Jean-François Rey au Masculin, which scored big among eyewear aficionados. Actually, the work of our designers is a lot like that of scientists: They work in a laboratory, research new materials and join them together, all the while breaking established codes on both a creative and technical level. The courage to try new things, overcome boundaries, take risks by disrupting conventions – these are the kind of qualities you need in order to work for me. Currently, our designers are busy exploring new blends of various materials in search of lightweight and refined combinations. The J.F. 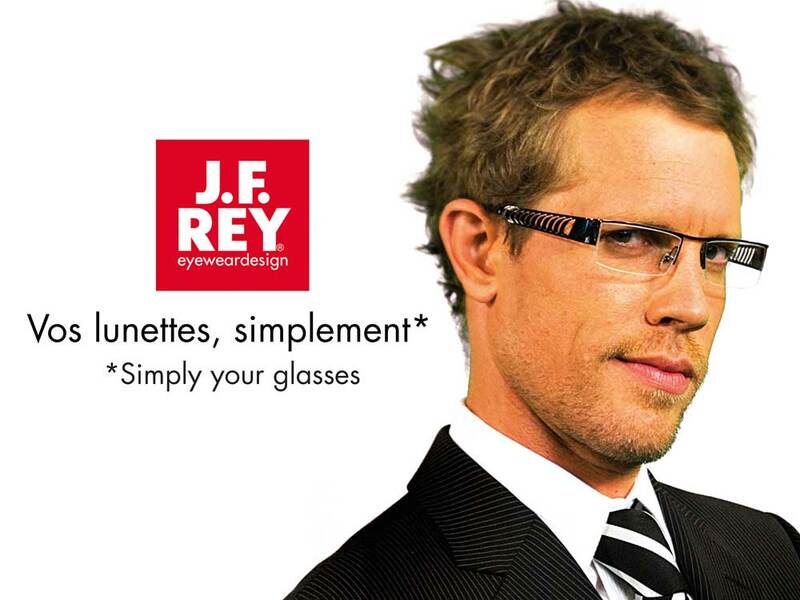 REY label in particular puts great emphasis on lightweight frames. On that note, how would you describe the J.F. REY style in three words? Differentiated, creative, and colorful are three adjectives that we continue to hear from our customers. But you could also narrow it down to an eccentric, innovative, and contemporary style. Eyeglasses have become fashionable accessories, used to enhance the individual style of the wearer. That’s also the reason why many wearers own more than one frame. They like to match their outfit to their glasses, and vice versa. What do you think about this course of events? For us as designers, that trend is headed in exactly the right direction! 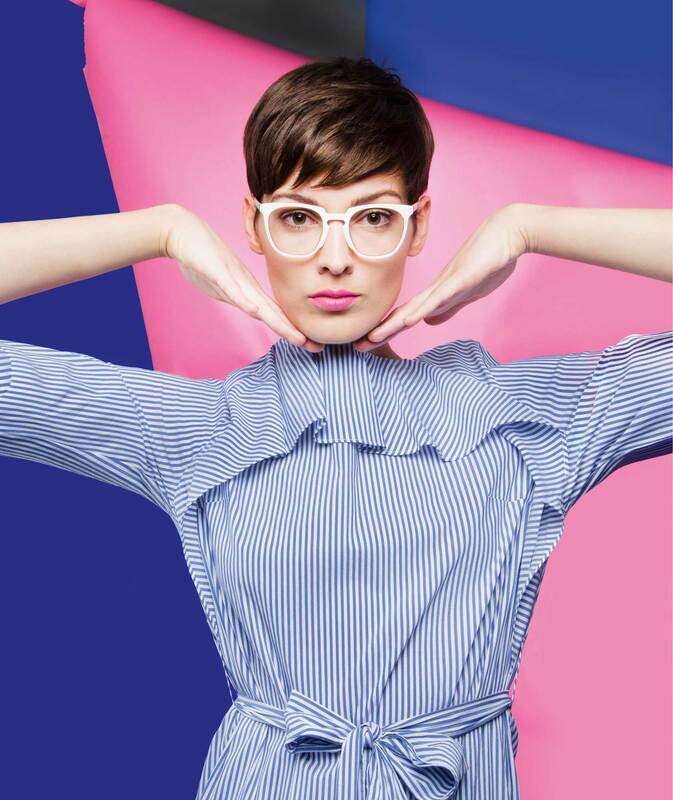 Nowadays there are so many stylistic conventions, colorways, prints and shapes, that eyewear has rightfully evolved into a fashion staple in its own right. Scrolling through various social media channels or browsing a fashion magazine these days, you cannot help but notice how important glasses have become, and how consciously they are being employed to supplement certain outfits. Ultimately, what choice of model you end up wearing boils down to a highly personal decision. Some wearers tend to be more bold, while others remain rather conservative… which is a bit of shame! Color accents, shapes, and materials can marvelously enhance someone’s appearance, whether it’s the entire personality or just a character trait. In my opinion, eyewear is the perfect accessory to express someone’s style and creativity. In 1995, you founded your own company. Today, BLI-DBP is managing four eyewear brands (J.F. REY, BOZ EYEWEAR, VOLTE VACE und SKY EYES). It’s grown into somewhat of an empire, run together with your wife. How did that happen and what does each of your brands stand for? Kids & Teens: True to its moniker, this is our kid’s line. This year’s collection was extremely well received, much to our delight. Petite: For petite women with slender faces. We are especially proud of this collection, since we are the first on the market with an offering of this kind. Jean-François Rey (Au Masculin, 1985) – positioned in the upper price segment, top-shelf. My wife created this line as a reflection of her self: colorful and passionate. Models for bold women, highly individualistic with great emphasis on colors, themes, and the interplay of various materials. Our Parisian label crafted from acetate. Feminine and glamorous shapes for today’s refined and elegant women. Our sunglasses collection is “100% Fashion.” A great hit due its variety of colors and shapes, together with affordable price points. You and your wife Joelle have consciously divided your work and private life. How may we imagine your professional collaboration? Who is in charge of what? I would describe ourselves as a creative duo – highly different but compatible at the same time. These opposites are the key to the success of our company and our many collections. Roles within the company are clearly divided: My wife is in charge of color selection and materials, as well as sourcing and relationships with our suppliers. My role is to run the business and try to inspire and guide our creative team with every new collection – I like get my opinion in, you know! I also have to admit to sometimes working solo on my own “private” collections, which has led to models such as the J.F. REY »Nemo« and »Nautillus«. But we really make an effort to separate our work and private lives, although it’s never that easy. Who is the typical J.F. REY customer? Who buys your products? Every brand has its own universe, replete with its own customers. The bold style of the BOZ Collection tends to attract women that are true to themselves and want to express their creativity. The other brands tend to have a more heterogeneous clientele. But generally speaking, our designs, stylistic impulses, signature colorways, and perfectly fitted frames from exclusive materials tend to speak to a person who likes to be surrounded with beautiful things. Aesthetic individuals, you may say. The business is evolving at a fast clip, there are always new innovative materials and processes. How do you manage to keep up with the pace and what kind of innovations are you working on right now? Our innovative spirit definitely benefits from the fact that J.F. 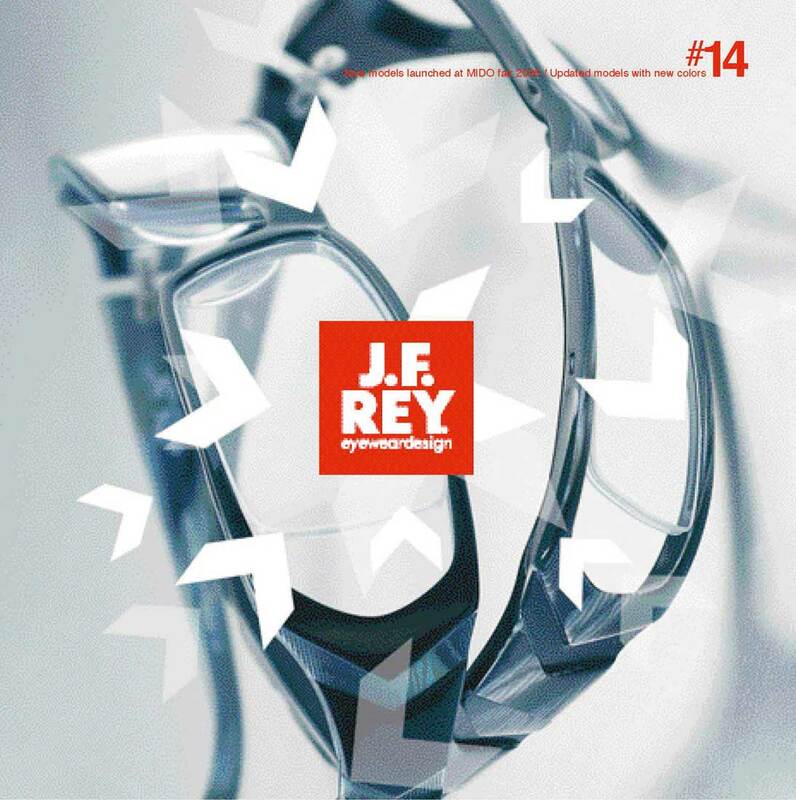 REY has become an established brand in the eyewear community. Progression and the desire to continuously reinvent ourselves have always been our driving force. And this creative approach is exactly what allows to keep pushing the industry forward and continue to set new trends without having to be followers. We take risks, disrupt established codes and have no comfort zone whatsoever. At the moment, our designers are working on extremely thin acetate frames, novel hinge systems, and a new “Fil de fer” collection crafted from wire, which we can’t wait to premiere at opti Munich in January 2017. 30 years in the business, four brands – that’s quite a prolific output of frame designs. What are your top five models that keep inspiring you today? The J530 model by J.F. REY crafted from acetate. The JF2180 because of its thought-out and groundbreaking design for its time. The concept really proved the impetus for J.F. REY as a brand. The J107, a highly delicate frame from metal and bronze acetate. The BOZ Genius model, winner of the 2005 Silmo d’Or. The number of eyewear labels is simply staggering, so is the pressure to innovate. Do you sometimes feel overwhelmed or unable to keep up – or out of ideas? I will admit that, much like any other creative person, I sometimes lack inspiration. Sometimes the enormous competition paired with the difficult economic context can become drag here and there. The end consumer is being bombarded with a steady influx of new brands, discounted price points, and excessive offers. Despite this climate of “commercial aggression” we continue to tell our own story at our pace, full of passion, values and lots of beautiful success stories. Our collections keep up with the evolution of the market without ever losing the DNA behind our brands, which is very dear to me. Where do you find inspiration, Jean-François? “Everything is Inspiration.” From architecture to urbanism, to design, art, different cultures, nature and fashion, interior design and brand-new technologies – it all informs our collections. Japan has always and continues to be fascinating and inspiring to me, in a variety of subtle ways. Two examples include the »JF2398« und »JF2408« that fold out like an origami. Looking around, are you following any other eyewear brands? I have great respect for the Japanese brand Factory 900 with their strong, bold designs. Those guys really have some stones and always work with amazing materials and shapes. Alain Mikli definitely deserves to be mentioned, since he’s had an enormous influence on the eyewear scene in the early 1980s. Back then, you only had about ten designers who even dared to transform eyeglasses into fashion accessories by playing with new designs. Now come to think of how many there are now! Speaking of new designs, what do you have in the works? Are you satisfied with your latest collection? 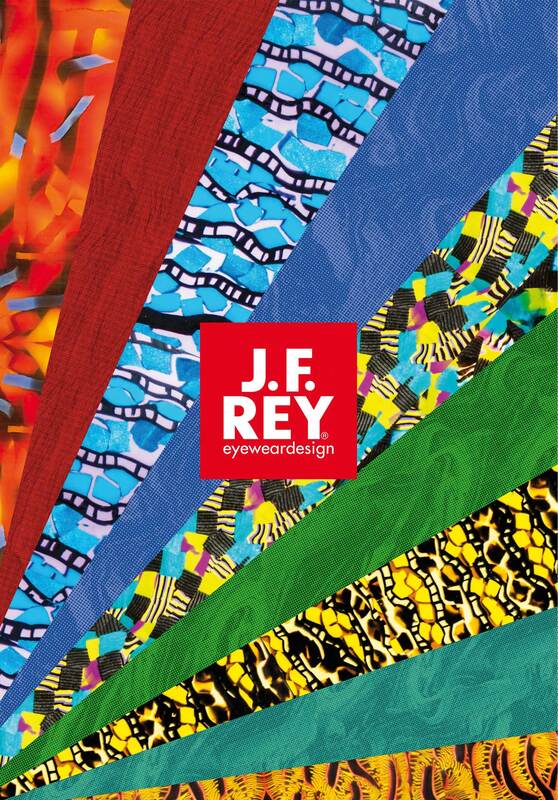 Two years ago, we started the JEAN-FRANÇOIS REY line, which has released the Au Masculin and 1985 collections. We rely on noble materials, all models are rather elegant, high-grade and have a refined aesthetic. These collections combine our entire savoir-faire and creativity. And we’ll be expanding this direction with a few new models this year. I’m especially fond of the 1985 collection, because it’s an homage to our styles from the 1980s. These new models give customers a chance to rediscover the history of our brand and learn more about who we are by looking at original 1980s photos. We had a ball bringing these classics back to life and the response to the collection has been incredible so far! That’s the greatest birthday gift possible! We want to say thanks to our loyal customers and our fans. What would you be doing with your life if it wasn’t for eyewear design? To keep having just as much fun in my work, to make other people happy and to keep surprising our customers. Our team has grown this year and we’ve brought a few new designers on board. That’s a big breath of fresh air. We welcome it and use it as motivation for moving forward! I would like to use the opportunity to thank all our customers who follow us via our social media channels. We have been late to the game, but our online community is steadily growing. I’m always happy to see images of our products in storefronts, whether it’s at shops in France or abroad. You guys are so creative! Major thanks for the interview, Monsieur Rey!